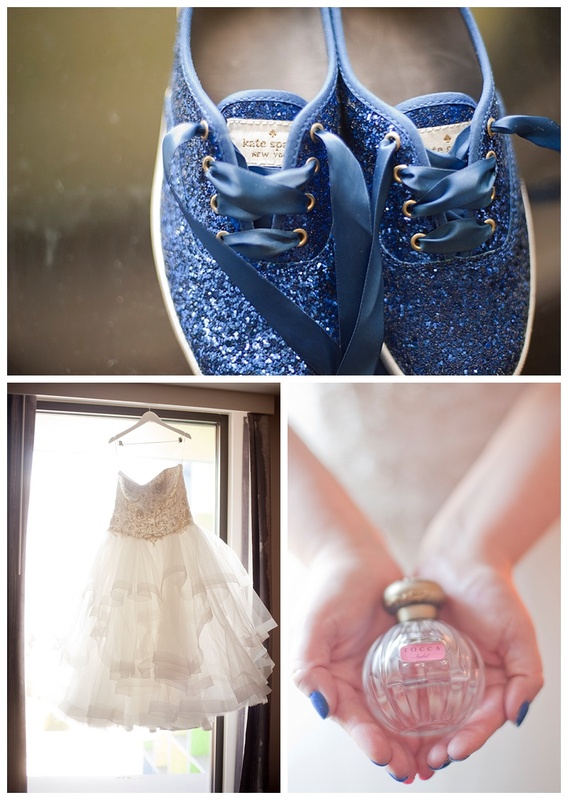 A bride with sparkly Keds by Kate Spade is always my kind of bride! Add to that a witty and laid back personality plus an equally fun groom and we are a just meant to be. Seriously, we have the best couples. 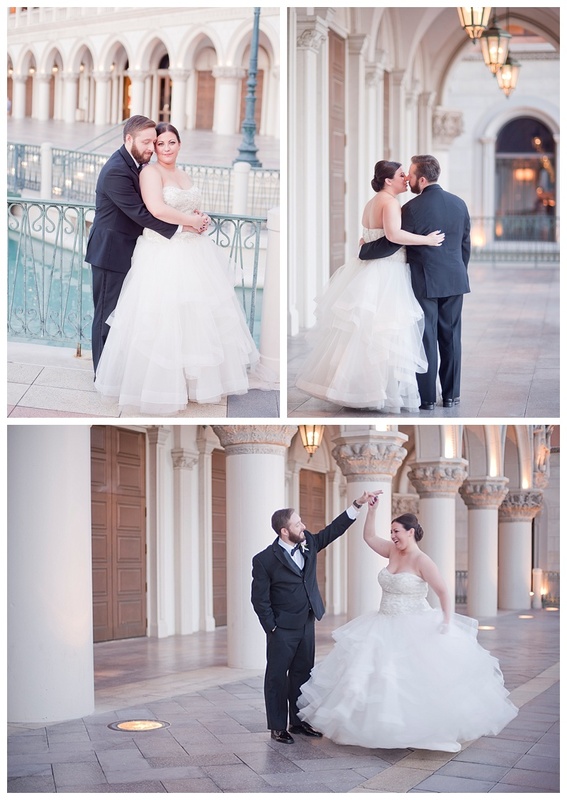 Kim and Daniel chose to have a destination wedding in Vegas, one of Kim's favorite cities. She's been coming to Vegas since she was a little girl, so it just made sense to have their wedding weekend here. I met up with Kim who was just finishing getting ready in her hotel room. We then met up with Jason and Daniel who was anxious to see his bride-to-be. It was the best first look of 2016!! After their first look we made our way to the ceremony site. 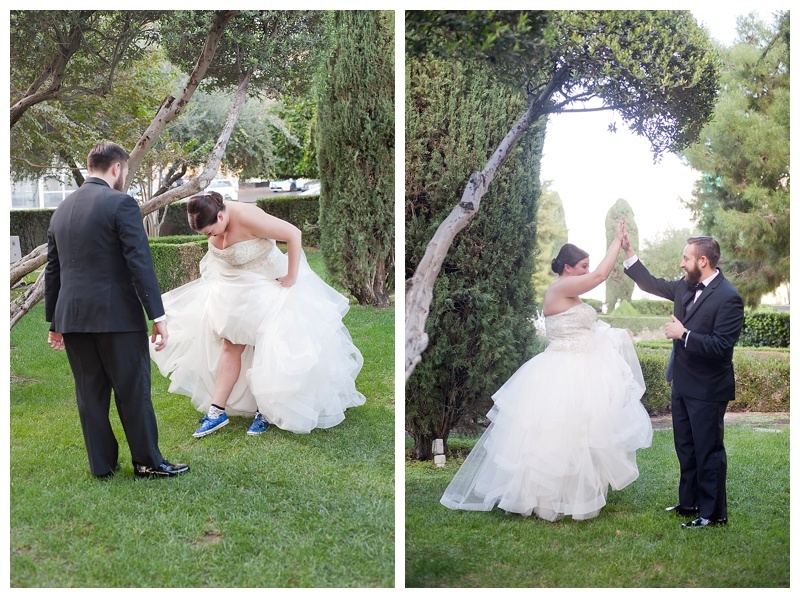 They chose to have their ceremony at the Venus Garden at Caesars Palace. 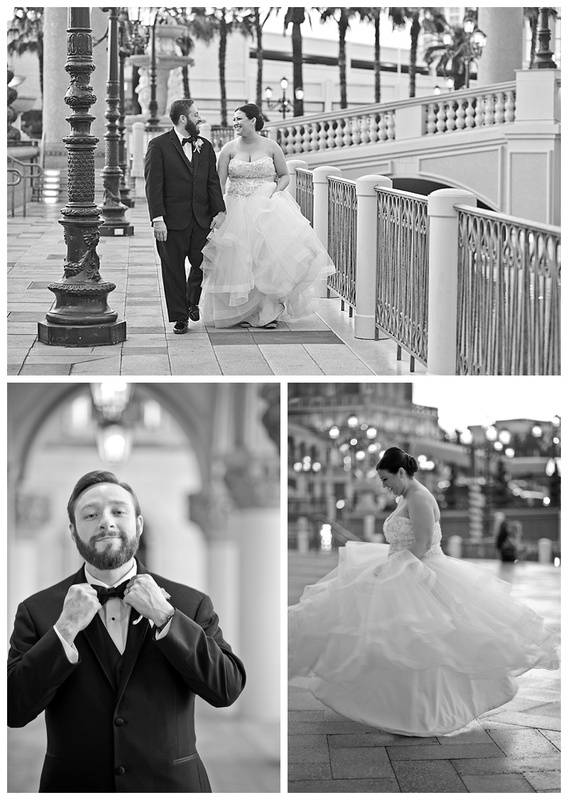 Although most hotel-casinos on the strip only allow their in-house photographers to photograph their ceremonies, Caesars Palace does offer an opportunity to have couples bring in their preferred photographers instead, for a fee of course. 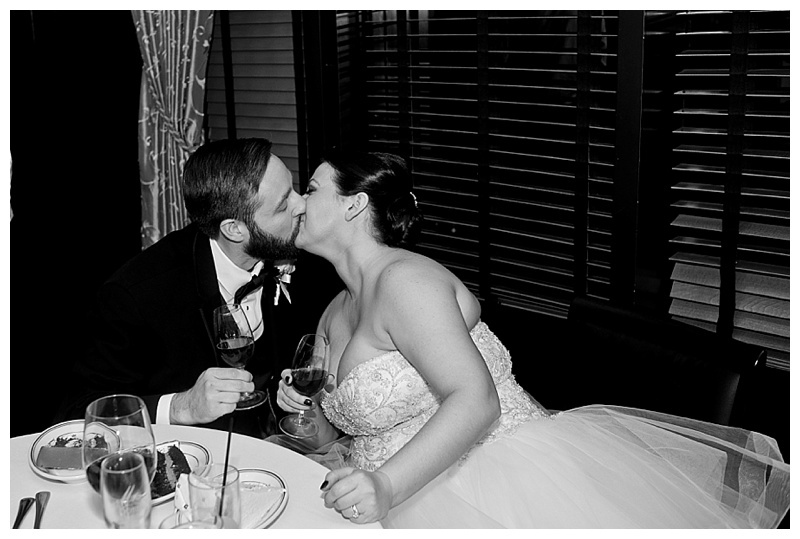 Kim and Daniel knew they wanted our photography style throughout their entire wedding day, plus we got to know each other via emails, phone, and skype chats so come wedding day, we were like old friends and not strangers photographing one of the most important days of their lives. After their ceremony, we hopped into a limo with the new Mr. & Mrs. and toured a few famous landmarks around the Las Vegas strip before making our way back to the Forum Shops at Caesars for their reception dinner atJoe's Seafood, Prime Steak, and Stone Crab. They had about 50 or so of their friends from Indiana come along and it was such a fun time for everyone!